What is the Best Dry Dog Food for German Shepherds? German Shepherd is considered one of the most popular dog breeds in the world because of their incredibly beautiful looks and thick black and tan coast. They are also considering as one of the most hardworking and smartest dog breeds ever. If you own a German Shepherd, you will know that this particular breed of dog does not just sit around at home but prefers physical activities and mental simulations together with human interaction. Aside from being smart, German Shepherd is known as huge dogs. They usually stand between 22 to 26 inches tall and can weigh up to 90 pounds. With such big bodies, they also require a higher number of calories in order to maintain their strong and athletic structure. One of the most common problems associated with German Shepherd is the high risk of mucus-skeletal problems. There are instances that these particular dogs have this kind of issue as they grow into adulthood. Fortunately, there are now ways in order to prevent such diseases. One way is through proper diet and nutrition. What to Look for in Dry Dog Food? When looking for a quality dry dog food, it is important to consider the protein content of the product. There are products that have ingredients being labeled on the packaging and it is essential to check if it is made from animal protein which is usually listed on top. Your dog food must also contain fruits and vegetables as they have vitamins and minerals that can help make your pets healthy and not prone to any health risks. When buying dog food, it is vital also to check the date which should be at least six months and away from manufacturing date. Here are some of the best Dry Dog Food that you can check. 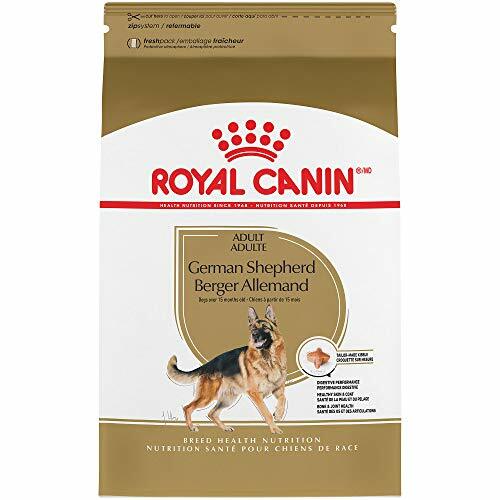 The Royal Canin Breed Dry Dog Food is ideal for adult German Shepherds that is formulated to provide the expected nutritional needs of your purebred pet from 15 months old and older. This dry food is made of kibble shape specifically designed for your Gernman Shepherd’s strong and long muzzle in order to promote chewing. The formulation of Royan Canin Dry Dog Food is designed to help improve healthy skin and coat. It has EPA and DHA content which usually comes from fish oil which strengthens the skin barrier together with other essential nutrients. This dog food also promotes healthy joints and maintains strong bone with chondroitin and glucosamine contents to support big and strong bodies. The Royal Canin Dog Food is one of the most popular brands when it comes to pet food as they are being mostly recommended by veterinarians and pet experts. Since German Shepherds have more sensitive skin compared to other dog breeds, you will need dog food that can provide the nutrients needed and at the same time, reduce the possibility of skin and fur irritation on your dog, and Royal Canin is one of the best options you can find. 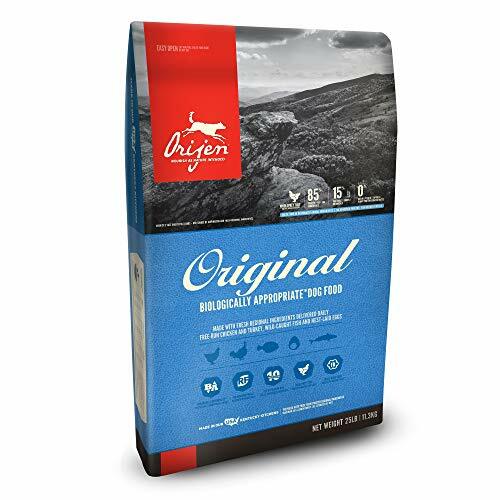 The Orijen Dry Dog Food provides a high content of fresh and real animal ingredients that can nourish your pet on their nutritional needs such as protein intake and carbohydrates. The Orijen offers diverse raw and fresh meats mixed with vegetables and fruits. One of the things that Orijen boasts is that the ingredients came straight from the producers and meats are not frozen which means your German Shepherd will surely get all the quality food he can get. Most pet owners who have tried this product claimed that digestive problems and issues have been answered by the Orijen Dog Food. This dog food also uses organic ingredients such as pumpkin and kale which is something worth knowing. The Orijen brand is mostly attributed to other products but many customers have claimed that their dry dog food is best for sensitive stomachs. The Orijen also boasts its reputation for being ideal for enticing fussy eating dogs. If your German is under this type of dog, then Orijen Dog Food is surely an excellent choice. 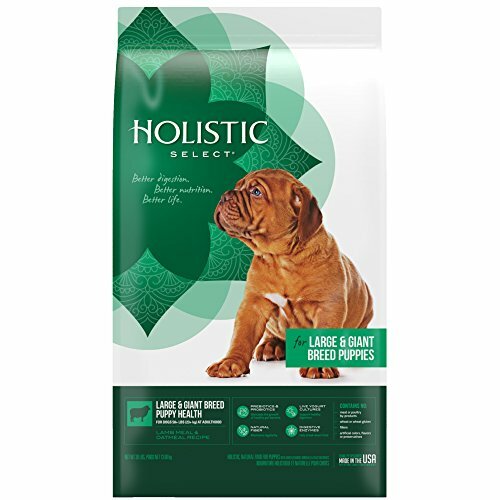 The Holistic Natural Dog Food is uniquely formulated with a Digestive Health Support System that focuses on probiotics, prebiotics, digestive enzymes, natural fibers, and botanical elements. It is perfect for giant breed puppies such as German Shepherds. It comes with all natural ingredients and real meat cuts such as lamb. It also has DHA content which helps promote brain development and healthy growth for your pets. For more than 10 years, the Holistic Natural Dry Food is focused on using the finest and the highest quality ingredients including veggies and fruits which can support healthy digestion. If you want a guaranteed safe and premium quality dog food for your German Shepherd, then the Holistic Natural Dry Food is one of the best choices you can consider. There may be a number of dog foods in the market today but it is not easy to choose which one will match with your personal preference. In the case of German Shepherds, it is important to select the best dog food that can meet the expected needs of your pet. Before buying one, it is important to know first the specific needs of a German Shepherd, how active this pet can be, and the health problems they are prone to be experiencing. For a quality dog food, choose the one with high-quality protein content, grain-free, and with added vitamins and minerals in order to keep your dog healthy and strong.